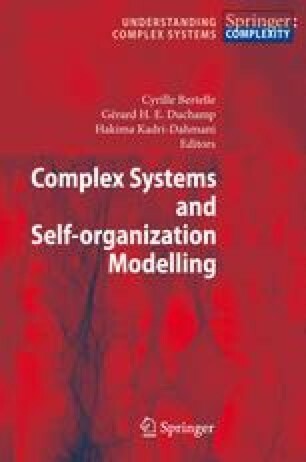 Artificial Immune System field uses of the natural immune system as a metaphor for computational problems. The immune system exhibits a highly distributed, adaptive and self-organizing behavior. Furthermore it can learn to recognize shapes with its adaptive memory. The approach explored is inspired by an immune network model like Stewart-Varela’s model. This model is designed to better understand the memory and cognition properties. Emergent antibodies configurations are studied on this immune network model; indeed these configurations seem like cellular automata configurations and appear with self-organizing properties.